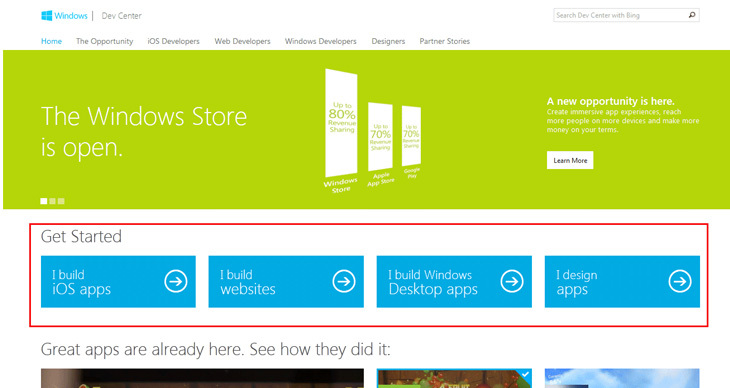 However you feel about Microsoft, they hit the nail on the head with their Windows App Development Store homepage. Notice how they’re asking the visitor who they are and giving them a choice. They’re not telling the visitor who they are. This is a example of excellent web design…focusing on your visitor and not yourself. No one cares about you, they only care about their problems and if you can fix them. I especially like the “I build iOS apps” button. Microsoft is not denying the fact that this is a huge market and worthy of first placement. Find out who is your target market and market to them…directly. When presenting your websiteâ€™s message you donâ€™t need to say a lot to get your point across. Before even opening our design software, we sketch out, on paper, a mockup website wireframe. Website security can take many forms. The most basic is just providing a secure feeling on your website. next post: How to Password Protect a Post or Page in WordPress?